My name is Mxolisi Gumede born in Umlazi Kwazulu-Natal residing in Jozi (Johannesburg). I’m a Technical Director for South Africa’s first 24 hour news channel eNCA. My running started as a bet between two overweight friends on a Sunday morning stuck in traffic at the 2011 Soweto Marathon. We started with the 10km at the township Marathon since then I’ve never looked back. I can honestly say can’t go a week without running. Addicted!!! I think more and more sport brands are picking up on the craze of running. Trying innovative ways not only selling but also promoting the culture of running. Running has become come a trend, a fashion statement with brands building/creating more attractive and fashionable apparel that will not only make runners feel good but look good while running therefore promoting good health. I’m not into gadgets but I do try and stay up to date at least with one of the latest craze preferably my phone. On running gadgets will prefer a good GPS watch to constantly track my progress. One of the most annoying and heart-breaking thing to happen to you especially when training for an event. One of my biggest achievements as a runner is running two full marathons on two consecutive weekends. As a runners there’s nothing like reaching the finish line and be proud of your achievement whether it is a 10k, half or full marathon you got up and finished it. 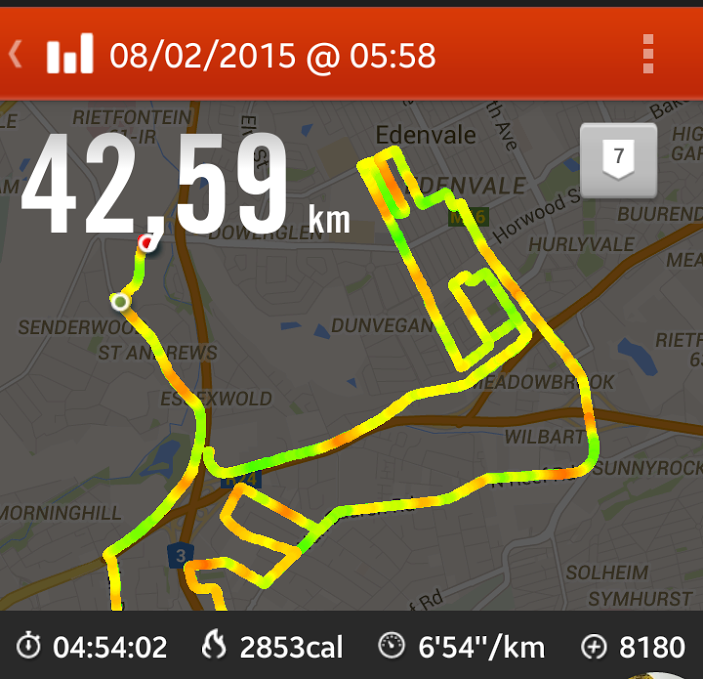 Well they call it “The Ultimate Human Race” Comrades 2015 here I come. My social media is hardly updated I read more than post but I do respond and engage topics I find interesting Love instagram. Pain is part of the game you run when you in pain but ultimately you finish. If I had to count the number of time when I said I’m never going back to running cause of the pain I’ll never finish. Oh and the people that ask you “you ran 42,2km, what about all that pain?” they motivate to push through the pain. I would like to be my daughter’s guardian angel “Idlozi lakhe” That way we remain connected eternality.